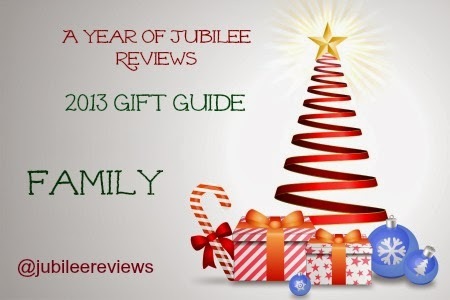 Pic The Gift Personalized Photo Blanket is in the top ten of Jubilee Reviews #GiftGuide! 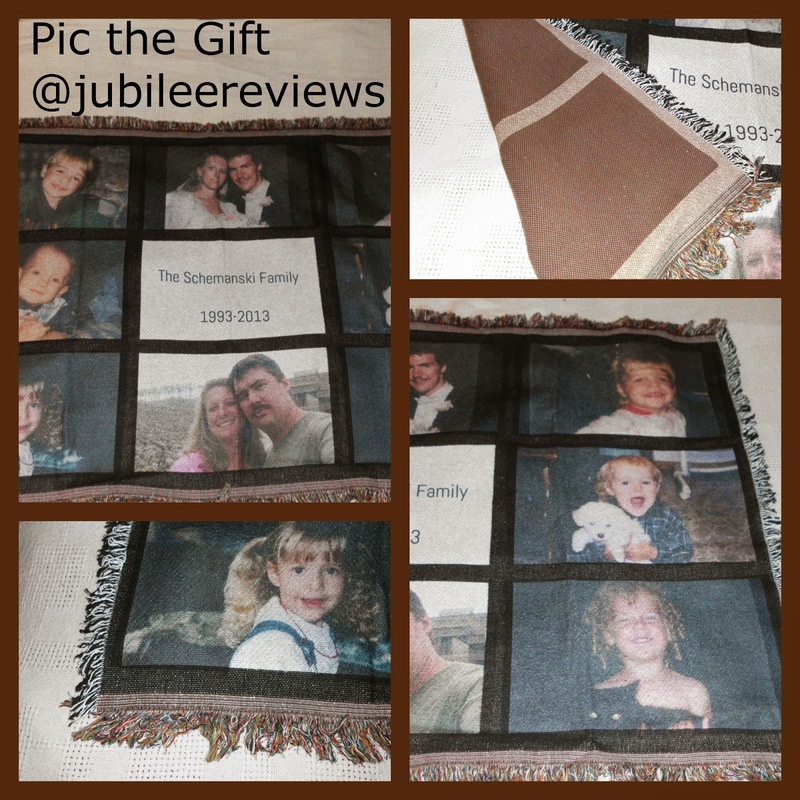 This blanket is a treasure to me, and it can be so versatile to your giving needs. We reviewed the 9 panel blanket right around the time of my 20th wedding anniversary. I had the idea to make it commemorative blanket in celebration. I included photos of each of the children when they were younger. Looking through lots of photos and choosing my favorites I simply had to scan them onto the computer to use on the website. I also did the same for my husband and my wedding photo and a current photo. I wasn't really sure how to design it, and this 9 panel really helped make it easier for me. Simply uploading the photos, I was able to put the ones I wanted in their specific areas. You can personalize it with text as well. The blanket is the perfect size for a lap throw or to hang on the back of the couch. The quality is so wonderful you could even use it as a wall hanging. The photos turned out excellent on the blanket. Made from 50/50 cotton and polyester, it is machine washable and dry on low. I was amazingly pleased with this product and highly recommend you check them out for your holiday needs! 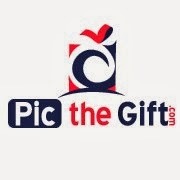 Pic the Gift offers a huge array of personalized gifts. The blanket was very well made and I imagine their other products are as well. "WE SELL QUALITY. We do all of our manufacturing in the USA, under our own roof, and with our strict quality standards. While some of our raw material is imported, you can rest assured that 100% of our manufacturing is in the USA and we are doing our part to keep jobs here. We are GREEN. Our manufacturing process only uses biodegradable water based inks and we recycle 100% of components we use in our production process. Together, we CAN make a difference. "